When Laneige first launched a bunch of their products at Target stores, I was most curious about their Bright Renew line. Somehow I never got around to trying any of it until now... and it's probably best that I waited, because they just brought their Bright Renew Original Cream to Target stores this spring! 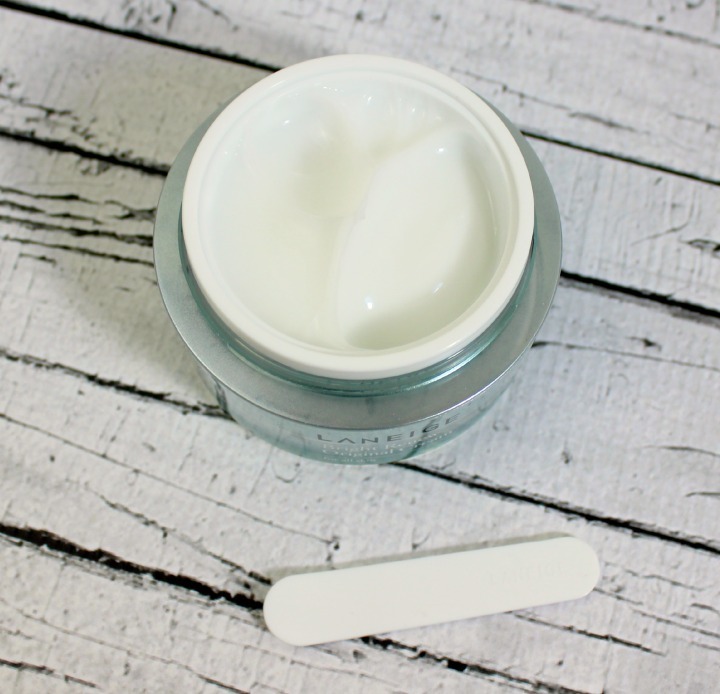 I've been using the cream since mid-March, so read on to find out what I think of it so far. "The # 1 melanin crusher and radiance renewer. Refreshing and non-sticky, this 24-hour powerhouse works three ways: (1) reduces melanin production and wipes away dark spots with bio-brightening Melacrusher™, (2) hydrates for enhanced radiance and (3) creates an all-day, “no way” protective film on skin, instantly shielding it from external stressors and pollutants. For optimal results, use after Bright Renew Original Serum." MELACRUSHER™ ATTACK! In simpler terms, this is an everyday brightening cream that hydrates and forms a protective barrier on the skin. From what I can tell, this is sold overseas as "Laneige White Plus Renew Original Cream" (or at least the ingredients lists are exactly the same). So if you've been buying that one from abroad, congratulations! You now have a way to get it locally. 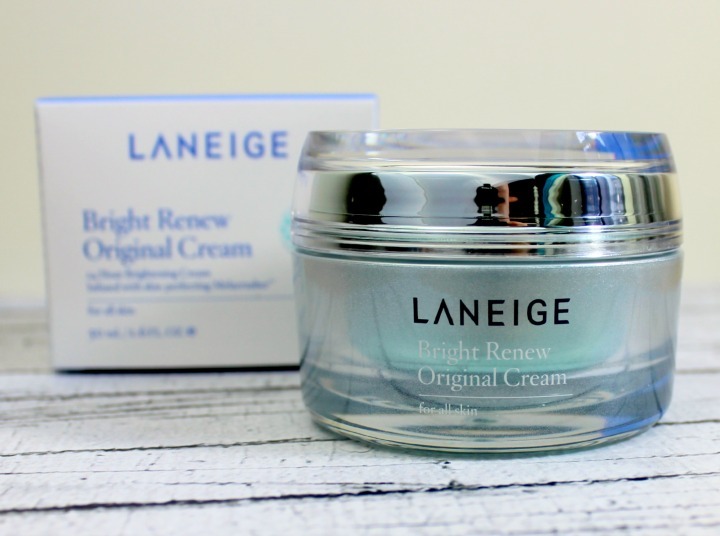 Laneige Bright Renew Original Cream is not the same as the Laneige Bright Renew Cream that was released in Target stores last year—that was a night cream. This one has a lighter texture that could be suitable for daytime or nighttime use. Water, Butylene Glycol, Glycerin, Dimethicone, Cyclopentasiloxane, Niacinamide, Cyclohexasiloxane, Ascorbyl Glucoside, Camellia Sinensis Leaf Extract, Yeast Extract, Hydroxyethyl Acrylate/Sodium Acryloyldimethyl Taurate Coplymer, Cetyl Ethylhexanoate, Hydrogenated Polyisobutene, 1,2-Hexanediol, Dimethiconol, Trisiloxane, Cetearyl Alcohol, Glyceryl Stearate, Inulin Lauryl Carbamate, Polyacrylate-13, Ammonium Acryloyldimethyltaurate/VP Copolymer, PEG-100 Stearate, Polyisobutene, Stearic Acid, Hydrogenated Lecithin, Ethylhexlyglycerin, Polyglyceryl-3, Methylglucose Distearate, Polysorbate 20, Caprylyl Glycol, Disodium EDTA, Fragrance. I was excited to see Niacinamide so high up in the ingredients list—I think regular usage of products containing it over the past couple of years is at least partially responsible for how even and glowy my skin tone is looking these days. I ran the ingredients list through CosDNA and it did flag a few minor possible acne triggers... the usual suspects. Butylene Glycol, Dimethicone, Cetearyl Alcohol, Stearic Acid etc. This cream doesn't make me break out at all, but as with all skincare, YMMV (especially if you're super-duper acne prone, unlike me). $40.00 for 50ml/1.6fl oz. Laneige Bright Renew Original Cream is exclusive to Target.com and select Target stores in the United States. Nice and light. This stuff soaks into my skin quickly, but not without making it feel slightly more supple and hydrated first. I also feel like it provides a slight cooling sensation as it evaporates—maybe I'm imaging that though? In any case, it has a lovely texture that feels sort of watery upon initial application and then dries to a silky (not sticky) feel. Laneige's Bright Renew Original Cream has a noticeable (but pleasant) fragrance. To me it smells a bit more floral and powdery than the products in their Water Bank line, but maybe I'm crazy. I think it smells lovely and relaxing, in any case—but it's probably not the best choice for folks who like to avoid strong fragrance in their skincare products. As for long-term results: It's hard for me to say. I used this cream daily for about four weeks before I even started formulating this review, but at this point I have so little in the way of spots that need fading that it's kind of difficult for me to tell if it's really doing anything in terms of Melacrushin'. I will say this: My skin always looks radiant and supple and lovely in the mornings after I use it at night, and it's light enough for me to wear during the day without turning my makeup all slidey and weird. I think this would be a good choice in the summer for normal or combo skin types because it hydrates without feeling super-greasy. In conclusion: I'm a fan of Laneige's Bright Renew Original Cream, and will allow it to stay in my lineup of warm weather-friendly products. I do wonder though... would one get more dramatic results by using this in conjunction with the Bright Renew Serum? Hmm. If you've tried either or both, let me know what your results were in the comments! On a semi-related note: If you're thinking of purchasing this cream (or any beauty stuff) from Target, this is a good week to do it: They're running a special where you can get a $10 gift card back for all beauty and personal care purchases over $40 with code BEAUTY (expires 11:59PM PT on May 9th, 2015). Don't forget that most Target.com orders over $25 now ship free! 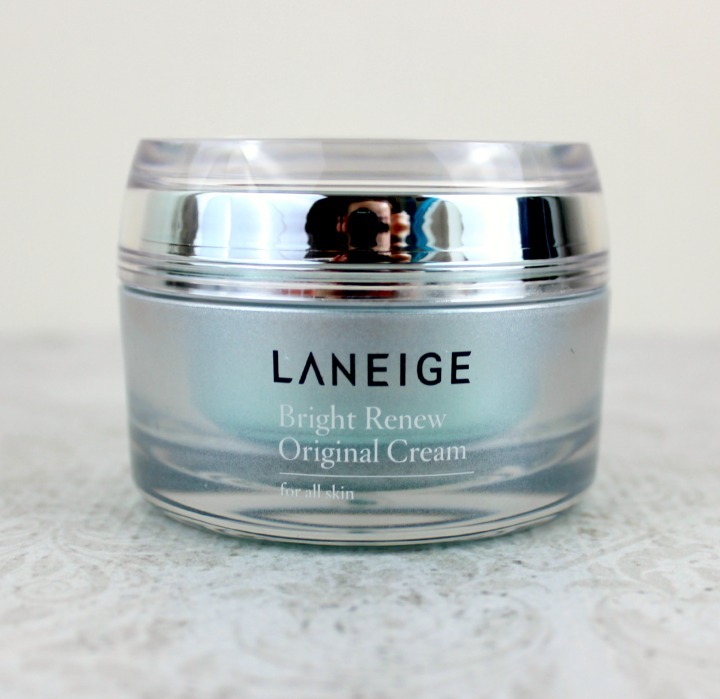 What do you think of Laneige Bright Renew Original Cream? Do you like creams that are super-thick or do you prefer a lighter, more gel-like texture? I think I would love this. It seems very similar in consistency to my Philosophy Take a Deep Breath Gel Cream Moisturizer. This sounds like a nice moisturizer. I have one from Missha that sounds similar. I was able to get a sample of Laneige's Water Sleeping Mask, and I'm so excited to finally try something from the brand! I've never tried that one, but it does seem similar based on the photos I've seen. Laneige makes gel moisturizers pretty well! Is it one of the Aqua-full creams? I have a bunch of samples of those lying around but never got around to trying them. I hope you like the sleeping mask! I think that's a good one to use in warm weather because it's not as heavy and suffocating as some others. Isn't there a Missha store in Germany now? Anyway, if Laneige continues to do well here, who knows. Maybe they'll expand to Europe. I love the Laneige scent too... it's so refreshing!